BRT stands for Bus Rapid Transit. Bus rapid transit (BRT, BRTS, busway, transitway) is a bus-based public transport system designed to improve capacity and reliability relative to a conventional bus system. A BRT corridor is section of road or contiguous roads served by a bus route or multiple bus routes with a minimum length of 3 kilometers (1.9 miles) that has dedicated bus lanes. The project is named as "Peshawar Sustainable Bus Rapid Transit Corridor Project". The Project alignment starts from Chamkani on GT Road through Pir Zakori Bridge, Peshawar Bus Terminal, Hashtnagri, Hospital Road, Khyber Bazar, Soekarno Chowk, Shoba Chowk, Railway Road, Sunehri Masjid Road, Aman Chowk, University Road, Board Bazar, Jamrud Road and terminates at Hayatabad Phase-V.
A 20 year public transport road map was developed in Urban Transport Pre-feasibility Study (PFS) which was completed under City Development Initiative for Asia (CDIA) in May, 2014. Six corridors were identified by the Pre-feasibility Study which formed the basis for Bus Rapid Transit (BRT) system of Peshawar. They are to be developed through a phased, corridor-based investment program as part of the 20-year public transport road-map. The project is being undertaken by the GoKP as a high priority project conceived by CDIA pre-feasibility study (May, 2014) and PPTA feasibility/ preliminary engineering design study (Dec, 2016). Both studies were undertaken through ADB grant. Planning and Development Department Government of Khyber Pakhtunkhwa (Annual Development Program) with Financial Assistance from Asian Development Bank (ADB) are the main sponsors of this project whereas, TransPeshawar and Peshawar Development Authority (PDA) under the Khyber Pakhtunkhwa Urban Mobility Authority (KPUMA) is executing the project. The maintenance and operations of the BRT Peshawar will also be carried out by KPUMA and TransPeshawar. Available transportation facilities are highly deficient and of inferior quality. Old model Buses, Mazda/Mini Buses, Suzuki Pickups, Datsun Pickups and Ford wagons of various sizes are the only option for the commuters traveling through public transport facilities. The existing transportation system is thus facing multiple problems such as over-population, lack of planning & regulation, absence of public transport infrastructure, poor design and management of road infrastructure, no traffic management and reliance on private vehicles which are ultimately causing dire traffic congestion in peak hours and severe environmental issues. Therefore, there is a need to address these problems in a holistic manner following the principles of sustainable transportation planning and management. Develop transport infrastructure to support and intensify existing land-use through the introduction of Transit Oriented Development (TOD), leading to densification and enhancement of commercial activities. Safe, secure, reliable, comfortable, and environmentally sustainable transport system; which meets the needs and aspirations of people of Peshawar. Pedestrian Infrastructure improvement and networking along the BRT Corridor. Shops at selected over-bridges and BRT Stations. Provision of Rest Rooms/Lavatories at all BRT Stations and at various locations along the BRT Corridor. 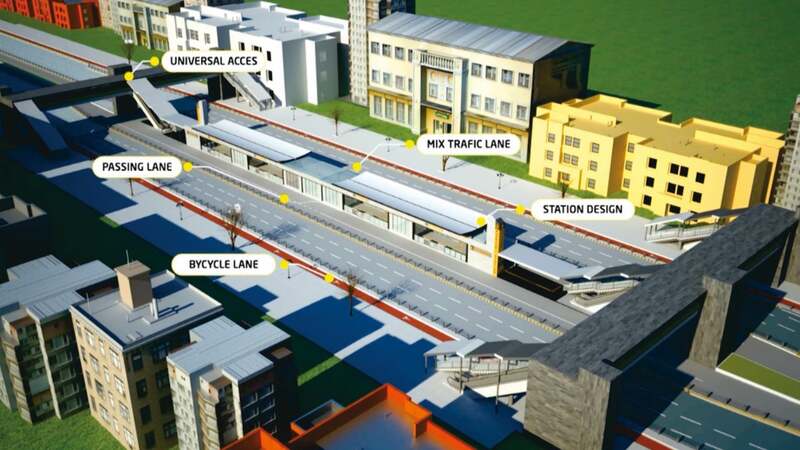 In addition to the above features, Main BRT Corridor include innovative stations design equipped with public facilities like parking for bicycles, and water filtration plant. Moreover, Non-Motorized Transport (NMT) is promoted to create a healthy livable environment, for which, sidewalk provisions, pedestrian crossing bridges, and pedestrian only tunnels with commercial shops are provided at different locations. The project includes construction of dedicated BRT with seven BRT feeder routes integrated with main corridor covering major trip generation areas of the city: Charsada Road, Warsak Road, Kohat Road, Bara Road, Ring Road, and Jamrud Road. 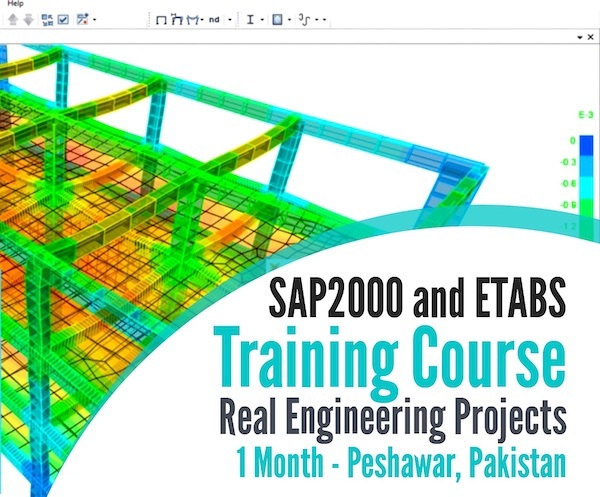 The project is consistent with the Government of Pakistan''s Vision 2025, Framework for Economic Growth (2011), National Climate Change Policy; supports priorities set out in KPK Comprehensive Development Strategy 2010-17; and is aligned with the interim country partnership and Sustainable Transport Initiative of the Asian Development Bank. It will contribute to make Peshawar safer and more business-friendly through low carbon and climate resilient urban infrastructure and improved access. The project design will incorporate lessons learned from past assistance, notably the need for strong political support and consensus, and for a robust governance structure. Coordination will be ensured with development partners and potential co-financiers in the urban transport sector.